If you are a British expatriate who is leaving France to return to live in the UK, there are various tax and financial issues to plan for. Ideally, to make sure you don’t miss out on any tax saving opportunities, you should complete any necessary arrangements in the UK tax year (6 April to 5 April) before you return. France uses the split year approach to tax residence, so you will become non-resident in France from the day after you leave. You are required to inform your local tax office in France of your date of departure and provide the French tax authorities with details of your new overseas address. Prior to 2005, people leaving France had to file a ‘provisional departure tax return’ before leaving, but this is no longer required. Instead you will need to file a part-year resident tax return where you report the income you received in the year of departure. This has to be filed following the year of departure, within the normal tax return filing deadlines. If you retain any French assets in France these will continue to be liable to French wealth tax if their total value is more than the threshold (currently €1.3 million). Certain investments held by non-residents can be exempt from wealth tax in France. If you continue to receive French source income this will usually be taxable in France. As a non-resident you will however no longer be liable for social charges. Before June 2010 people arriving in the UK had to submit HMRC Form P86, but this is no longer a requirement. You do however still need to inform the UK tax authorities. Your UK residence won’t necessarily start the day you arrive back in the UK to live. UK tax law does not have split tax years, so the strict legal treatment is that you are resident for the entire UK tax year of arrival. However, there is an Extra Statutory Concession (ESC) which can permit split year treatment for certain types of income and capital gains. So you are likely to be considered tax resident from that date you arrive back in the UK (though there is no guarantee it will always be applied). If you buy or rent property for your use in the UK before you leave France, to use as a base while visiting the UK while planning your return, HMRC could decide that your residence started earlier than you believe it did. This system does not provide any certainty, so you need to take professional tax advice before you go and after you arrive. Once you’re resident in the UK, you would normally be liable to UK taxes on your worldwide income and gains. If you’ve been living outside the UK, and carry out the appropriate planning while still non-UK resident, you may be able to benefit from tax advantages when you return which are not ordinarily available to UK residents. It’s often possible to arrange your investible assets in a manner where you can enjoy tax free growth and income as a UK resident, irrespective of how much money you invest, but you need to start your planning early enough. If you left the UK less than five years before you return, you need to beware the capital gains tax trap. If you had sold any UK assets after you left the UK (investment property, shares, etc), or made any other gains (including on non-UK assets purchased before you left the UK) while you were resident overseas, these gains escape UK capital gains tax if you remain non-UK resident for five complete and consecutive UK tax years. If you return before the five years are up, you’ll have to pay tax in the UK on the gain. It is not proportionate to the time you spent outside the UK. There may be a window of opportunity for you to take steps to avoid being faced with the tax when you return to the UK, but since this would depend on your circumstances you need to take personalised advice. At the same time, if you are selling your current French property you need to consider what French local tax liabilities are on any gain made. The same applies for gains made on the sale of any other assets which you may have to pay tax on in France if they are chargeable assets. If you have an assurance vie (life assurance policy) you may be able to ‘bed and breakfast’ it by encashing it shortly after returning to the UK and potentially realising the gain tax free, and then reinvesting in a new one. If you are already retired you will need to advise the UK Pension Service and any pension providers of your return date, your new UK address and bank account details for your pension to be paid into. 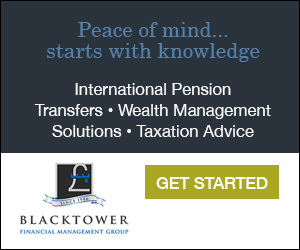 If you had transferred your pension funds into an overseas pension scheme you need to seek advice on the best way forward. If you worked in France and maintained contributions to a UK occupational pension scheme, when you retire and the pension is in payment, there is no relief against your pension income for the periods you worked overseas, even if you did not receive tax relief in the UK on the contributions you made whilst working overseas. If you wish to receive a full UK state pension, you should check your National Insurance contributions record to see if you have enough years to qualify. You may be able to top them up if necessary. If you have a non-UK pension, 90% of the income is subject to UK tax. If you are on the remittance basis, the pension income will only be subject to UK tax if remitted to the UK. Everyone’s circumstances are different. You should take personalised advice from a firm which specialises in both UK and French taxation to make sure you get it right and see if you can reduce your tax liabilities in the process. •With thanks to David Franks.